Welcome to Annabel Murcotts Schools of Tae Kwon Do. Our Tae Kwon Do clubs that are located in Billingborough, Bourne, Crowland, Market Deeping, Stanground Peterborough, Stamford, Thurlby, Hampton Vale Peterborough, Werrington Peterborough and Yaxley Peterborough, all have a warm family atmosphere. Our Tae Kwon Do clubs are open to men, women and children, with separate children's classes available. Our classes will suit any fitness level from absolute beginners, to those interested in stamina, self defence and competitions for patterns and sparring. 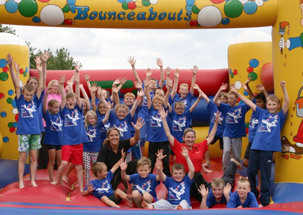 Sign up to receive news on activity days, self defence classes and free sessions. Annabel Murcott Schools of Tae Kwon Do is one of the largest martial art schools in the local area and is run by husband and wife team Annabel 7th Degree Master and multiple world champion and Dale 4th Degree Black Belt. We are proud to be part on the Tae Kwon Do T.A.G.B Europes' largest martial art organisation with over 20,000 students. Annabel Murcott Schools of Tae Kwon Do is a T.A.G.B Tae Kwon Do School. 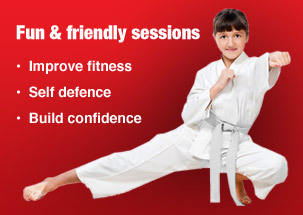 Annabel Murcott Schools of Tae Kwon Do have classes in Billingborough, Bourne, Crowland, Market Deeping, Hampton Vale, Werrington, Stanground, Stamford and Thurlby in Peterborough, Cambridgeshire & Lincolnshire.